Prepare yourself for the most relaxing day, as you begin your day at the Dandenong Ranges, some of the most magnificent countryside in Victoria. 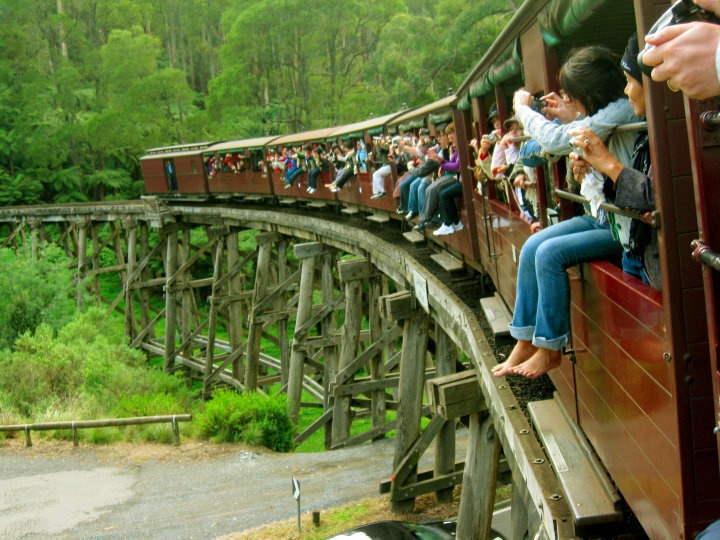 After a delicious morning tea, recapture the romance and charm of the bygone days of steam as you enjoy a ride on Puffing Billy at these Ranges. In the afternoon, experience the Yarra Valley in full, Victoria’s popular wine producing region, for wine tastings and a delicious roast lunch at the wineries. After lunch, enjoy something sweet as dessert at the Yarra Valley Chocolaterie. This tour is perfect for those who are simply looking for a relaxing day out; come back into the city after your tour feeling well rested, relaxed and ready to take on the world. Departs on Mon, Wed, Fri, and Sun at 8.10am, returns at 5.45pm.